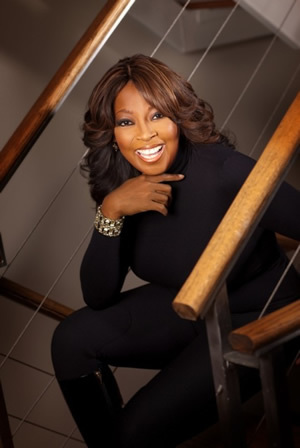 May 1, 2018 (HOUSTON)— Star Jones, attorney, journalist, TV personality, author and businesswoman, is returning to her alma mater, the University of Houston Law Center, on May 11 to deliver the commencement address to the Class of 2018. Jones earned her J.D. at the Law Center in 1986 and went on to work as a prosecutor in New York City, a network television legal correspondent and analyst, host of a court TV show, and co-host of "The View" talk show for nine seasons. She is currently president of the Professional Diversity Network, an internet software and services company that develops and operates online networking opportunities for professionals and employers seeking to hire women, minorities, veterans, LGBT and disabled professionals. Jones has visited the law school previously to talk with professors and students, and credits the Law Center for much of her success: "The law degree from the University of Houston Law Center is really what controlled the trajectory of my entire professional career, there's no question about that," she said in an interview for the school's Briefcase magazine. "I am delighted that Star is returning to the Law Center to share her words of wisdom with the graduating class," said University of Houston Law Center Dean Leonard M. Baynes. "Star is the epitome of a UH Law Center graduate. She is super smart, very articulate, and business savvy. She is a shining example of how legal education prepares our graduates to do anything." The Law Center Commencement will be held Friday, May 11, at 6:00 p.m. in NRG Stadium with a reception to follow at the Crowne Plaza Hotel, 8686 Kirby Dr., Houston, TX 77054. Click here to watch a video interview with distinguished alumnus Star Jones.